This document contains detailed information about the application procedure. We strongly advise you to read it before starting to fill in the Application Form. Depending on their characteristics, all applicants fit in one of the three Target Groups established by the European Commission Programme (more information in the Guidelines). The Application Form must be filled in English. Before starting to fill in the Application Form, you must be sure that you have all the certificates and language skills required to attend the sought programme(s). We also strongly advise you to read the Guidelines for Applicants and the FAQs before starting. The applicants should only have one valid application at the beginning of the selection procedure. Being so, if the same applicant submits several online forms, all of them will be disregarded. Note: All documents must be accompanied by a translation into English or the working language at the host university. 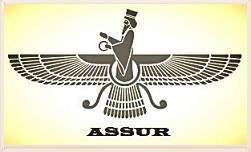 In order to be eligible to apply to an Assur scholarship, applicants need to fulfill a set of minimum requirements described in the guidelines. It is noteworthy to mention that in addition to these criteria there may be other defined internally by each partner institution of the project, so all applicants need to check the general information sheet of the respective host university. IMPORTANT: Some host universities may have early pre-admission periods. Please make sure to check this on the academic offer and contact the host institution if you have doubts. This project has been funded with support from the European Commission. This communication reflects the views only of the author. The Commission cannot be held responsible for any use which may be made of the information contained therein.